In previous post, we have seen breadth-first search(bfs). In this post, we will see how to implement depth-first search(DFS) in java. In DFS, You start with an un-visited node and start picking an adjacent node, until you have no choice, then you backtrack until you have another choice to pick a node, if not, you select another un-visited node. DFS can be implemented in two ways. Depth-first search can be implemented using iterative approach. We start with node 40. It then visits node 20, node 50, node 70 respectively as they are directly connected. After that, it backtracks to node 20 and visited node 60, node 30 and node 10 respectively. Depth first search can be implemented using recursion too. We do not need to maintain external stack, it will be taken care by recursion. 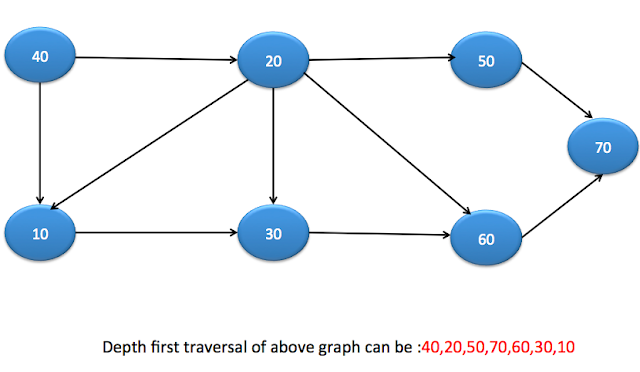 There are two ways to represent a graph. In this, you can have List<Node> as neighbours in Node class as below. Here is the complete java program for DFS implementation for iterative as well as recursive method. 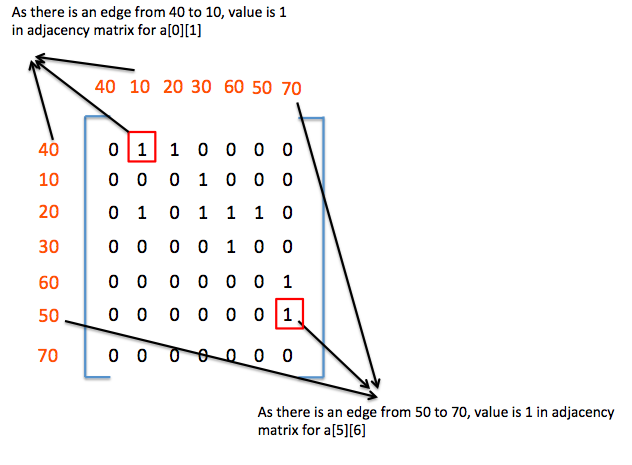 Adjacency_matrix is used to find the connection between two nodes. Below diagram will help you to understand adjacency matrix. Please go through data structure and algorithm interview programs for more such programs.